On the day DC Films tent pole kick off to their film universe arrives in theaters, they release a new picture from next year's Wonder Woman film. Wonder Woman makes her big screen debut in this weekend's Batman v Superman: Dawn Of Justice but will appear in her own solo film in 2017 starring Gal Gadot. In this picture we get a good look at Diana Prince (Gadot) as well as the other women of Themyscira. 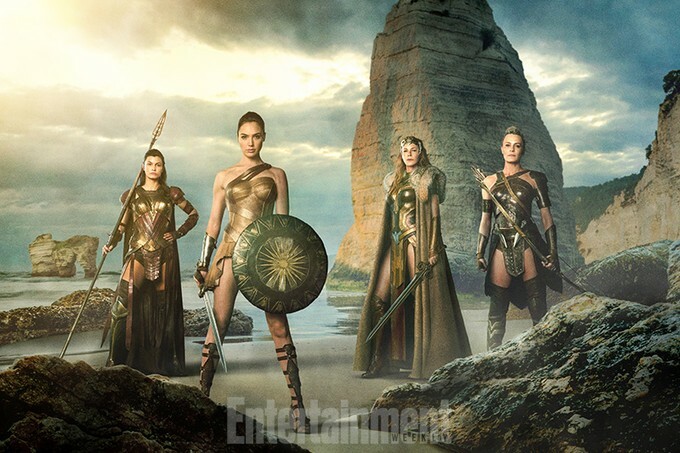 We also get her mother, Queen Hippolyta (Connie Nielsen) and her aunts Antiope (Robin Wright) and Menalippe (Lisa Loven Kongsli). Wonder Woman arrives in theaters on June 23, 2017.